Michael Twomey Butchers may change this policy from time to time by updating this page. You should check this page from time to time to ensure that you are happy with any changes. Michael Twomey Butchers collects the details provided by you on registration together with information we learn about you from the use of our service. 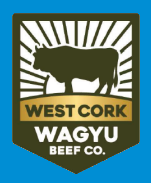 If you believe that any information we are holding on you is incorrect or incomplete, please email us at info@mtwomeybutchers.ie, we will promptly correct any information found to be incorrect. If you have a complaint about the use of your personal information please contact Michael Twomey Butchers by phone on 026 42280 or on email at info@mtwomeybutchers.ie giving us the opportunity to rectify matters quickly. Please be assured that all complaints received will be fully investigated.